There was a time when the watch industry was ruled by the Casios and the Seikos, with occasional luxury watches such as Rolex and Omega emerging as a distant dream. With the emergence of cell phones, their charm started to fade away. Time being more accurate on a cell phone, the menace of changing time manually when traversing across different latitudes started to be seen as tedious. And the smartphone market killed it all. Watches started to fade away from the phase of the earth, occasionally revealing itself on the wrists of the richer elite. Along came iPod Nano, the VI in 2010. Although it failed to impress as a music player, simply due to it’s surprisingly small touch screen and its slightly bulky form factor. But the square shape and the watch dials that it offered quickly sparked the creative minds of the geek world. And they soon built a watch strap around it. And I, for my own biased reasons, quickly jumped on the concept and bought myself one. I must say I have not been terribly disappointed so far. 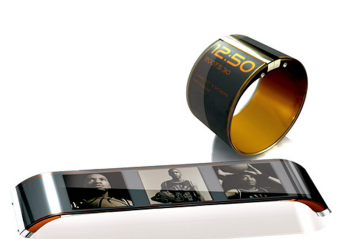 Although the iWatch aka ipod nano did not kick off as much, the concept of a “smart” watch slowly started to emerge. Need I say, the gadget elite such as Apple, Google, And Samsung quickly jumped into the race for the ultimate smartwatch. And soon enough, prototypes and concept mockups started to mushroom at different parts of the web world. Hype has been unimaginably high. Yet, so far there has been just one decent contender and surprisingly it is not one of those gadget giants. Instead it was a startup known as Pebble Technology that has taken the giant leap. Built with an impressive SDK for the developers and a seamless integration with Android and iOS, Pebble comes at a unbeatable $150 price tag along with the alert features from a smartphone. Now, anything that Apple hints at is no longer a secret. And along came the rumors of a secret apple team working on an iWatch . Soon enough, Samsung announced that they are making a smart watch too!! Google did not want to be left behind as well, and they announced the Google Time . At this point, I must make a mention about Microsoft SPOT Watch , announced back in 2003, launched in 2004 and withdrawn in 2008. And as always, Microsoft decided to play the catch up, by announcing its own smartwatch, 2 days back . The future is promising. Just like the Phablets , the watch industry is no longer confined to the Rolex and the Casios and the Omegas. And for a person like me, who prefers to wear a watch regardless of the umpteen time gadgets around, this is a welcome change. Let me leave you with one of the concept videos amongst the hundreds that are floating around, that impressed me.